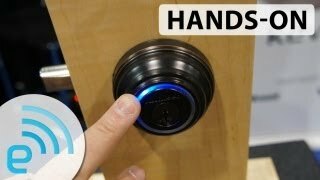 Lets you ditch deadbolt keys by using the Bluetooth-equipped smartphone you're carrying anyway. Lets you create, set activation times for, and (if needed) revoke electronic keys for family and visitors. Receive notifications when they use the door and/or change Nest thermostat settings. Battery powered; doesn't depend on Wi-Fi. 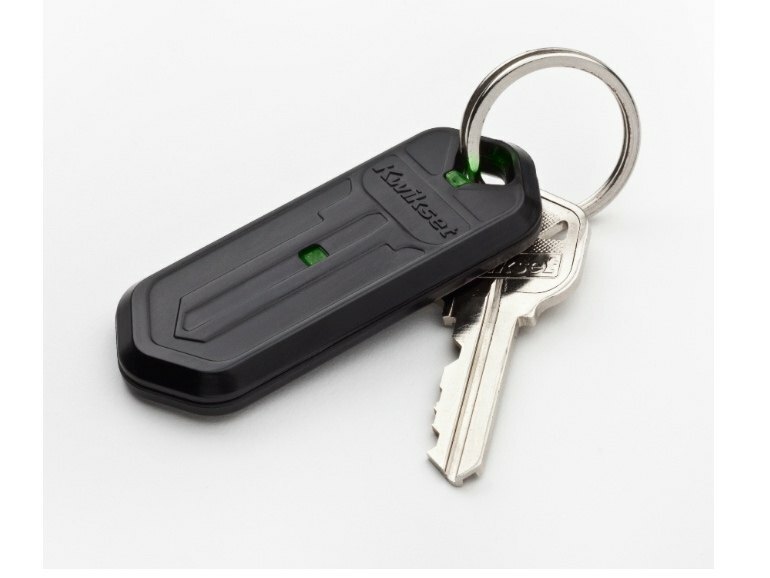 Also works with a supplied fob or real key if your smartphone isn't supported. Not cheap! 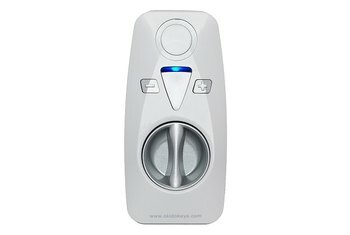 Several times more expensive than a conventional deadbolt. Only works with recent iPhones and a handful of Android 5 (Lollipop) devices, which not everyone will own. Deadbolt itself isn't particularly sturdy, so may not be the best protection against break-ins. Some reviewers found installation tricky. Kwikset Kevo is a Bluetooth 4.0-enabled deadbolt door lock that lets you use a smartphone app (or a supplied fob) instead of a physical key. 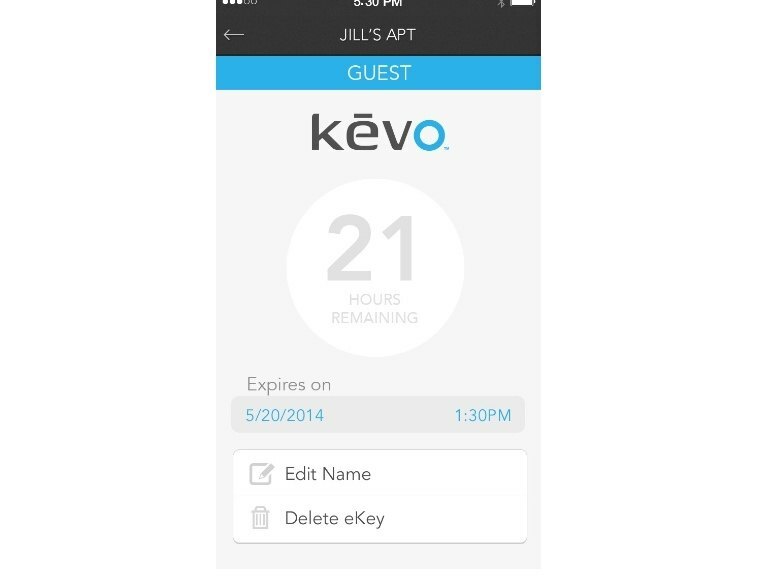 With the Kevo app (available for recent iPhones and a few Android 5 devices) running in the background, you simply tap the lock to gain access. 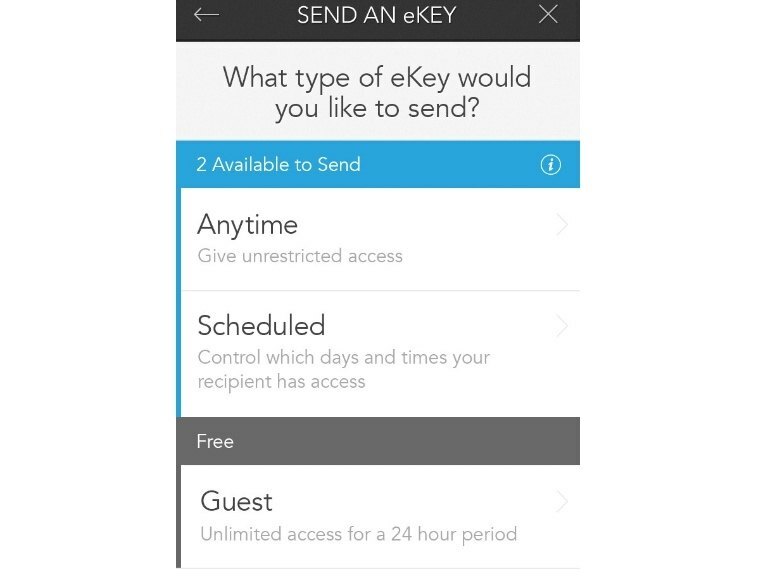 You can also generate and revoke time-sensitive electronic keys for guests and family members, and receive notifications when they're used. If you're using a Nest, the app can also prompt you to activate or deactivate the thermostat's at-home setting when the deadbolt is accessed. 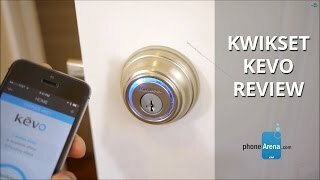 Being able to unlock the Kevo with our iPhone, track who is entering who’s accessing the Kevo, and even sending eKeys to a friend/relative, all show us the smarter functions of this deadbolt lock – albeit, it comes at a steep price. 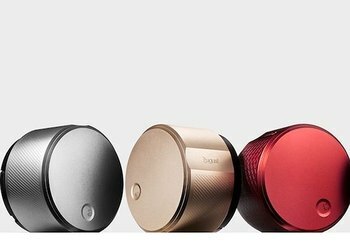 If you're the type who wants your door to be connected like everything else in your life the Kevo is certainly promising, but limited device support, a quirky setup process, and a $219 price tag means most are better off sticking with a good old fashioned key. 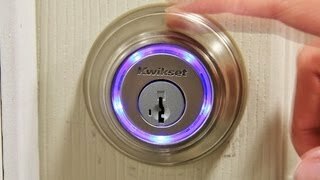 The lock is fairly easy to install and does exactly what it is supposed to do, but there is a lag between the time you touch the lock and the time it actually opens. 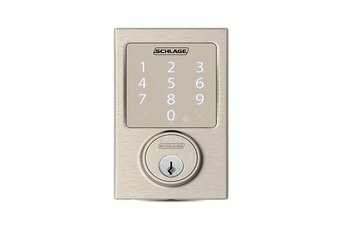 In our experience, the unlocking process isn’t much faster than using a real key or punching a code into a keypad (since the lock usually takes a second to recognize your Bluetooth signature anyway), but it’s definitely easier to activate. As brainy a deadbolt as the Kevo is, I wish that it were a bit brawnier, too. 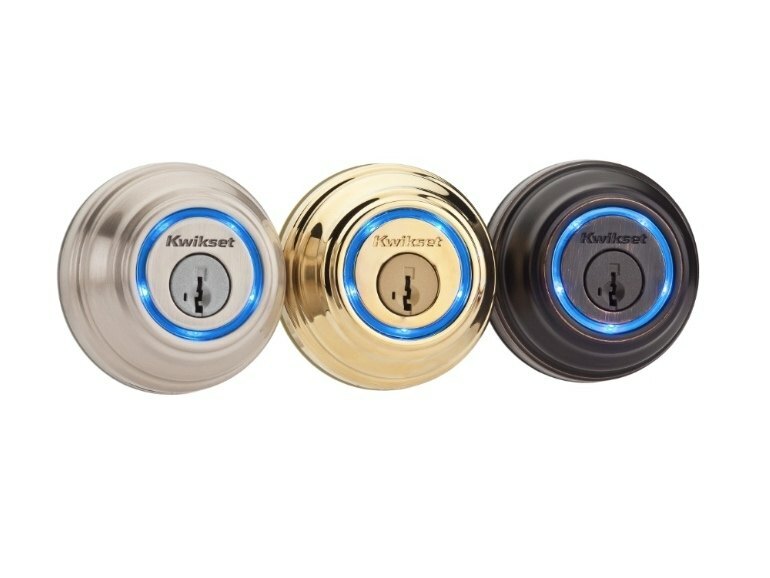 Despite being bump-proof and essentially pick-proof, our tests confirmed that the Kwikset SmartKey deadbolt that makes up the guts of the Kevo is vulnerable to certain types of simple forced entry. My biggest concern with Kevo is proximity security. Kevo works on Bluetooth, which has a 30-foot range. This means someone could touch-open your door if you're somewhere within this range. Installing Kevo isn’t for the timid. I spent more than an hour working through 24 steps and was frustrated placing two screws in particularly hard-to-reach spots. While I was initially excited about the product, in the end, it turned out to be less of a turnkey solution than I would have liked. 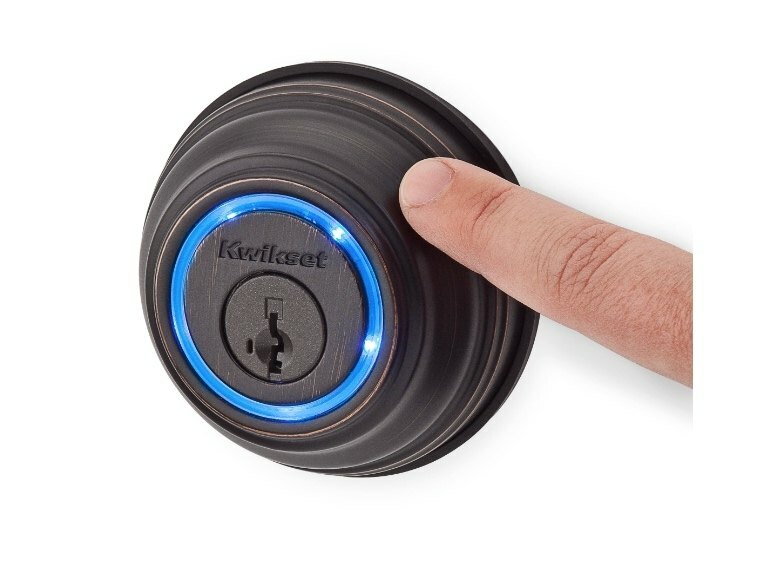 Kevo may not enhance security and isn't a necessity, but it's a fun, handsome product from a company that has been making locks for decades and would make a great gift for a tech enthusiast or DIY-er, particularly for a house that already uses Kwikset locks. You'd better be rated Bob Villa-class or higher with a power drill to install this thing on a new, uncut door. But if you're simply swapping a similarly sized analog bolt assembly, the procedure is pretty straightforward and the included instructions are very detailed. If your main goal is to avoid having to carry and use a key, the Kevo gets the job done. It was a clear step up in convenience from my old 20th-century lock. Just approach the door and touch the lock; after a couple of seconds, it unlocks and you can step through. That’s pretty much all there is to it.